There are so many times, that we took wrong decision for which we have to pay very high price. Some decision lead us to accident, business loss extra. So, here is astrology tips by good luck guru about how to take good decision, right decision that avoid unfortunate. If the owner of luck planet, main planet, Moon and Jupiter are weak then person will take wrong decision. Their decision may prove wrong even though they are intelligent and experienced. If decisions are correct then they take advice from others. You will take wrong decision when your main planet is affected by Rahu. First place or Mars is affected by Rahu then also you take wrong decision. A person takes wrong decision and spoils his work if his Mercury is exalted. They think their decision is right and other decision is wrong. When mind line and heat line become same then person will take wrong decision. If your fingers are bigger then palm then you may take wrong decision. They take decision immaturity. They are affected by bias. Do not take decision when you are too much enthusiastic or anxious or angry. Do not take decision to get revenge. You can take advice if you have less knowledge or experience. If you are affected by someone’s decision. They invite their bad luck and loss everything. You must have to take decision from such person whose Jupiter or Moon is strong. You must have to do mediation. If you are in confusion then chant “Om” and sleep facing northeast side. Leave it on your dainty. You must have to go under vicinity of your idol. You must have to breathing exercise before taking decision. Do not take decision in Aries, Gemini, Virgo and Pisces lagan. You must take decision in Taurus, Leo and Scorpio lagan. You must have to take calcium and iron. You can wear Chandra Yantra. 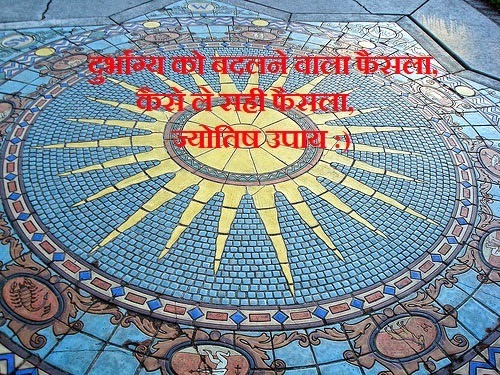 You must have to worship Shri yantra.